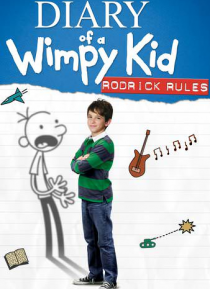 Greg Heffley, the kid who made "wimpy" cool, is back in this sidesplitting sequel based on the second installment of the best-selling book series! Having rid himself of the Cheese Touch , Greg enters the next grade with his confidence and friendships intact, and an eye on the new girl in town, Holly Hills. But at home, Greg is still at war with his older brother, Rodrick, so their parents have han… ded down the toughest "punishment" imaginable-forcing the boys to spend quality time with each other.